Jack3d Discontinued – Get it While it Lasts! 2 Comments on Jack3d Discontinued – Get it While it Lasts! 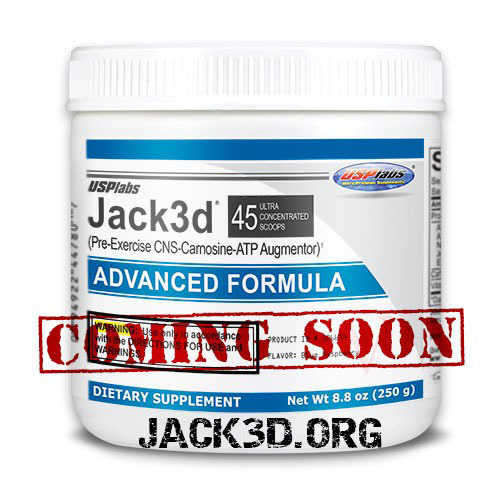 Bad news for fans of the original Jack3d formula – it has been announced that this revolutionary pre workout supplement will no longer be manufactured by USPLabs. The good news is that it is still legal in the US, as it was never outright banned by the FDA. USPLabs simply agreed that it was time to move on and stop producing any supplements with DMAA. This includes the original OxyELITE Pro formula. This means that if you’re a fan of the original Jack3d with DMAA (labeled as 1,3 Dimethylamylamine HCl), you can still get it while it lasts. Over time, we expect the listing below and to the left to get smaller and smaller, as retailers sell out of their stock. If you’re a huge fan of Jack3d, it’d be smart to stock up sooner than later! Dallas, TX – April 16, 2013 – USPlabs stands by the safety and legality of its products containing the dietary ingredient 1,3-DMAA. Despite being among the most studied ingredients ever with 11 published peer-reviewed clinical & analytical studies, the FDA has urged the industry to discontinue the use of 1,3-DMAA in dietary supplements. We disagree with FDA’s position. The company has never-the-less concluded for business reasons to phase-out products containing 1,3-DMAA and replace them with new advanced formulations. USPlabs would like to take this opportunity to thank its loyal customers who can continue to expect safe and effective products developed through cutting-edge research and development. 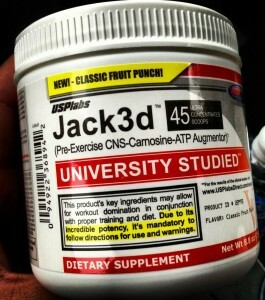 If you are overseas, or do not wish to use Jack3d, you can still use the next best thing — Jack3d Micro (also available at www.jack3dmicro.org), which actually provides far more explosive strength increases and pumps, thanks to its trifecta of 3 potent nitric oxide boosters. Jack3d with DMAA is Discontinued, but Jack3d Advanced is Coming Soon! That said, it’s tough to replace Jack3d. There isn’t much that will give you the energy of the original with DMAA – it’s a performance enhancer that is not to be taken lightly, but when used properly, incredible gains can be achieved. 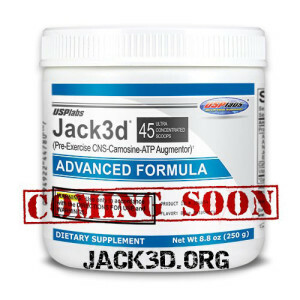 So, sometime around July, USPLabs has stated that they will be releasing Jack3d Advanced. We have no clue what this supplement will be about, but we assume that it will cater to the “high energy” crowd who wants a strong stimulant to replace DMAA. We’ll keep this page updated with more information soon, but we’re going to run some fun contests with this one for some free giveaways. USPLabs OxyELITE Pro Original Formula, DMAA discontinued, so stock up while it lasts if you’re a big fan. OxyELITE Pro Powder Based on the New Formula, but in a tasty drink mix. It includes another appetite suppressor that’s not found in the New Formula linked above.